Oscar Hubbard, a sixth generation native, along with his wife Eleanor; started Finestkind Scenic Cruises in the summer of 1956 to share their love of the unrivaled beauty of the Maine coastline. What started as a one boat operation running from the town dock has grown into a fleet of three well-maintained motor vessels with a busy summer schedule of over fifteen trips a day. Responding to the ever increasing demand, the Hubbards added more trips and expanded the operating season to meet the needs of their customers. Finestkind Scenic Cruises currently operates May 1 through mid-October and has a variety of different trips and departure times to make it easy for everyone to include a trip along the Maine coast in their vacation plans. Our employees are a very important part of the business and we consider them like family, with many returning year after year. All of our captains are licensed by the U.S. Coast Guard and consider passenger safety a top priority. Our hosts and hostesses are not only trained extensively in safety procedures, but also in the comfort of passengers. 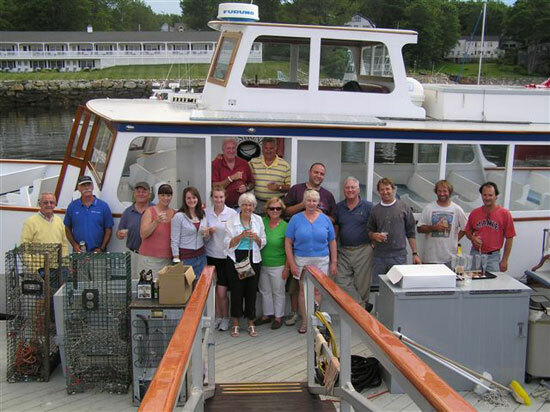 They will be able to answer your questions about the coast and also give detailed explanations of lobsters and lobstering. All of our staff members consider prompt, courteous service a priority and will see to it that you enjoy your time aboard any one of our vessels.